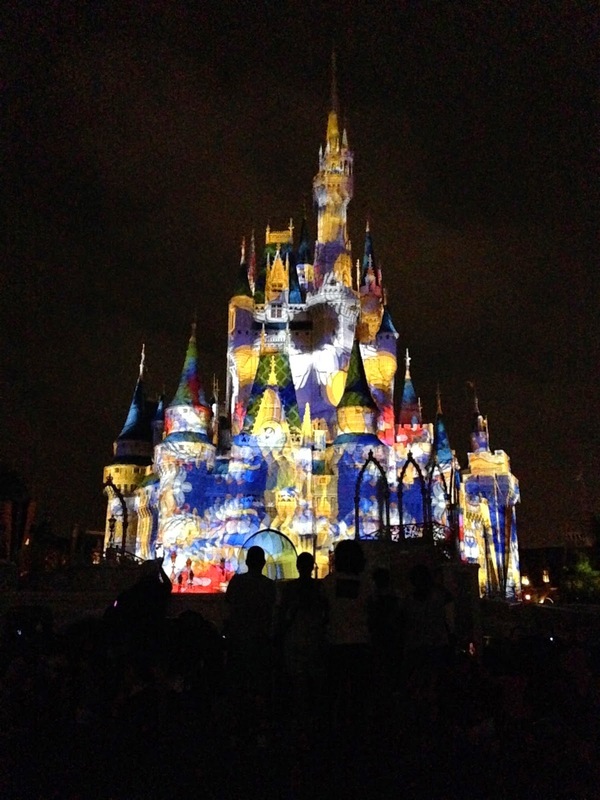 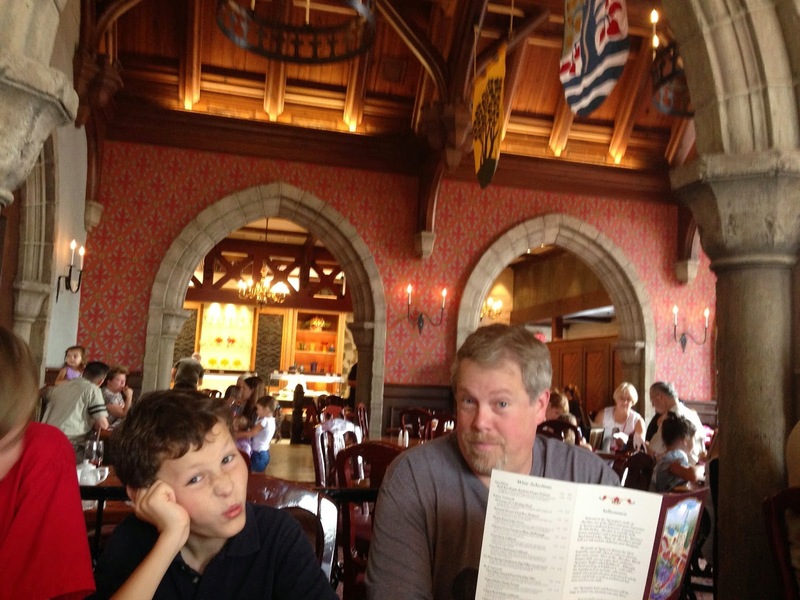 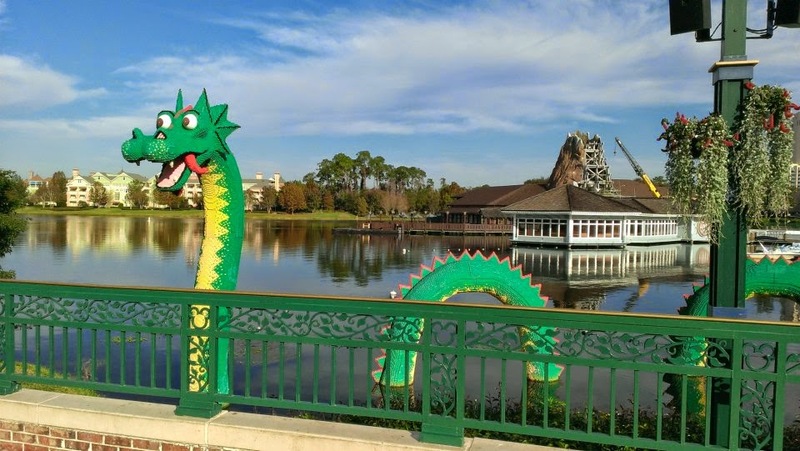 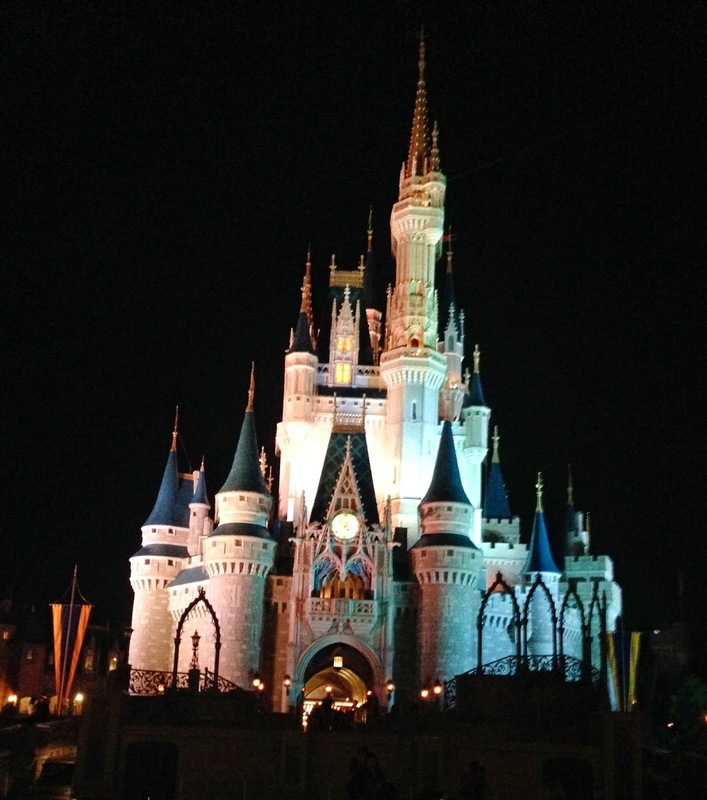 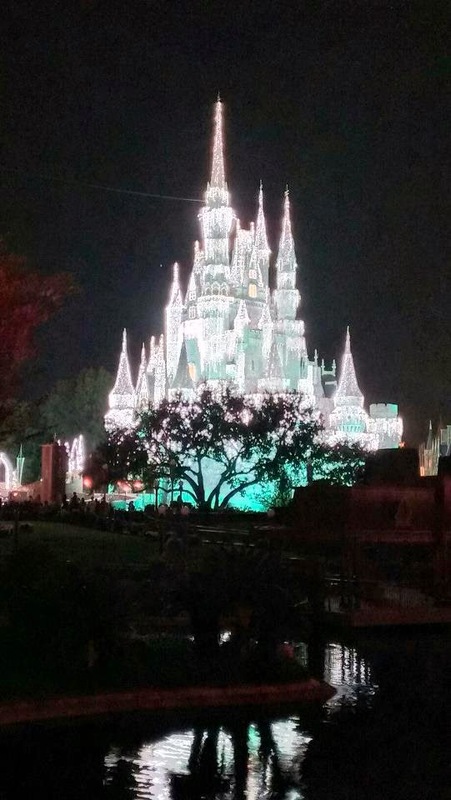 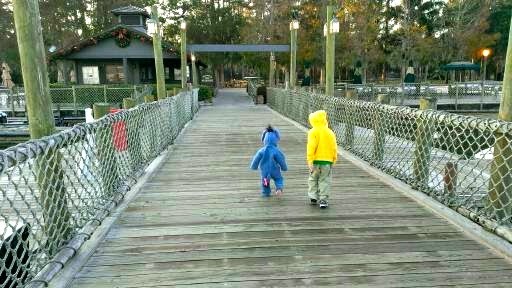 Seems like everybody likes to look at Disney vacation photos. 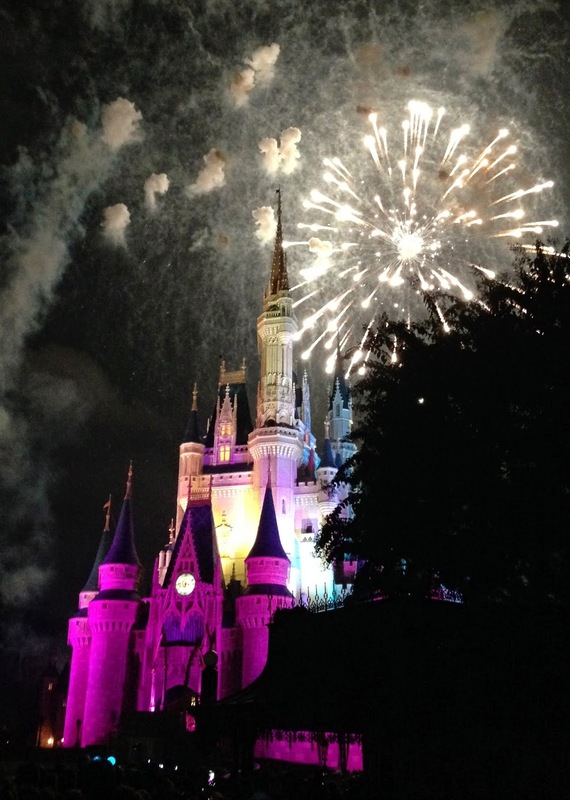 Here are some of our favorite pictures we have taken over the years. 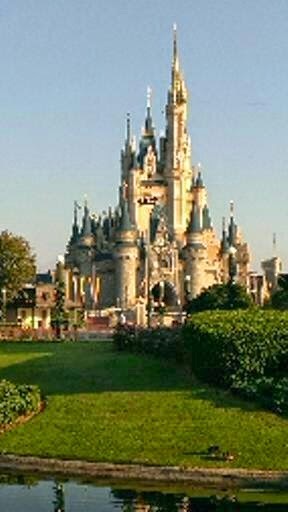 These are my personal photos. 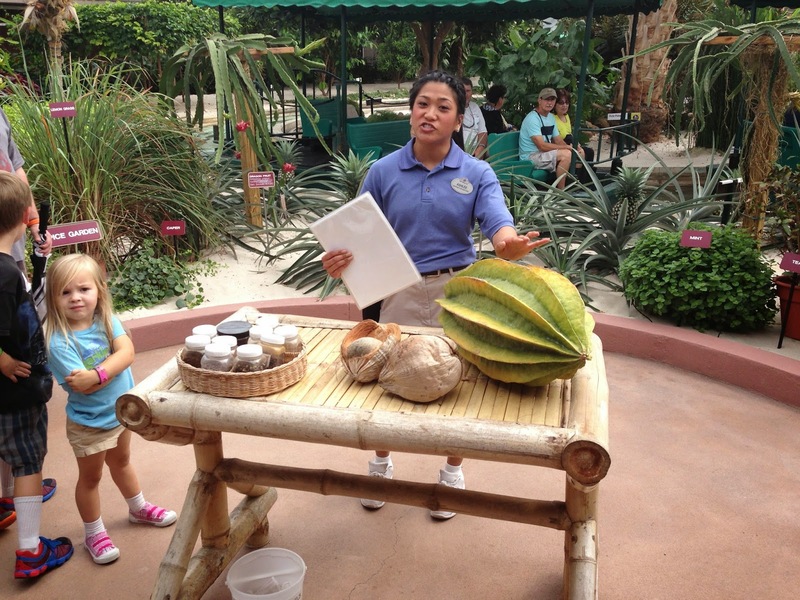 Having fun and learning about plants in Epcot's Behind the Seeds Tour. 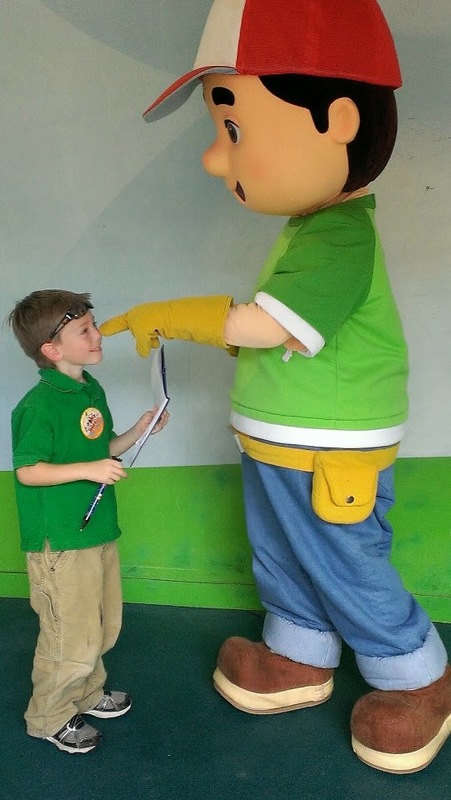 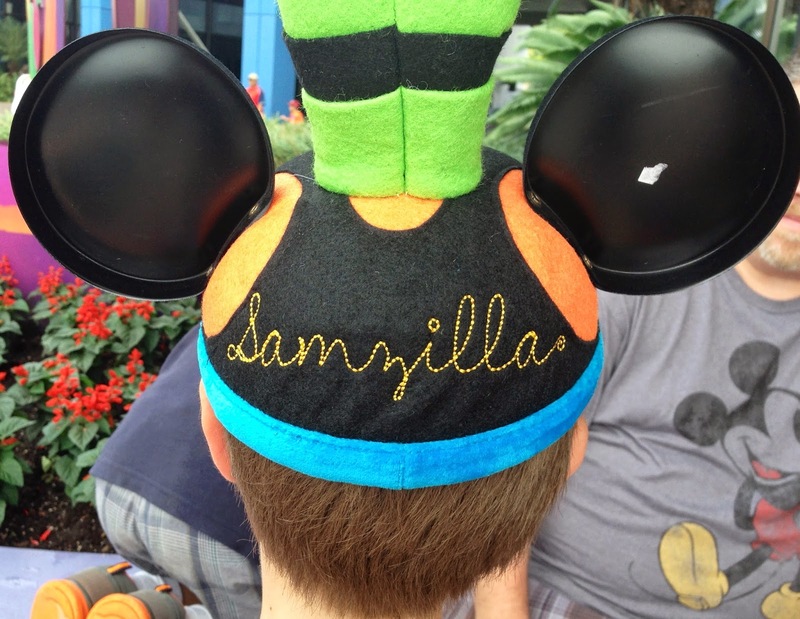 My son paid with his own money to have this hat personalized. 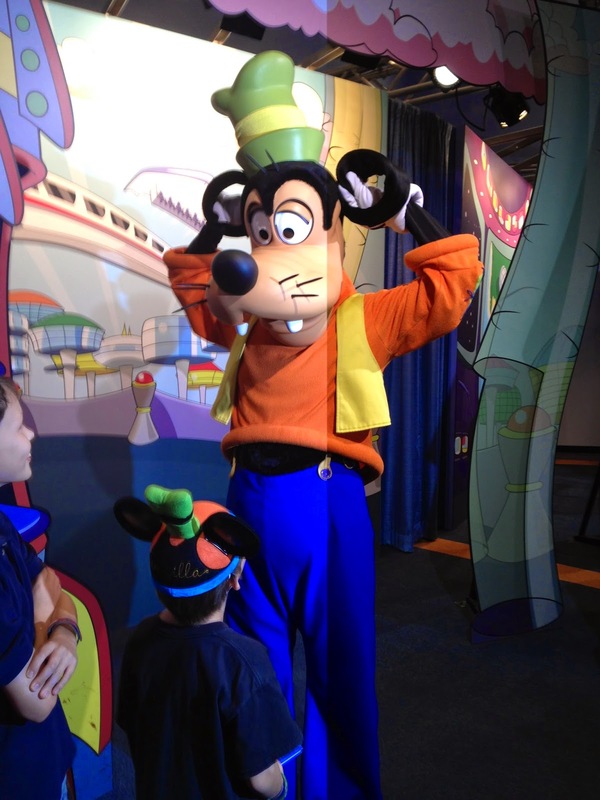 Goofy pretending to have Mickey ears. 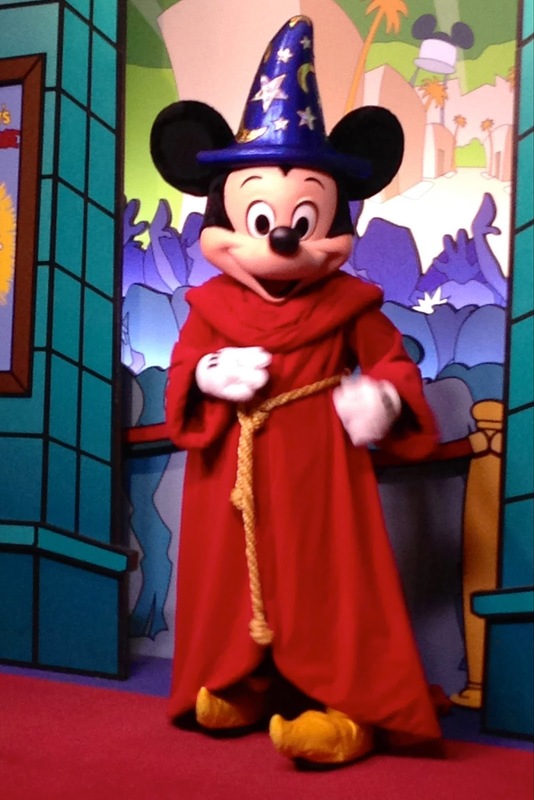 You can meet Sorcerer Mickey in the Magic of Animation building in Hollywood Studios. 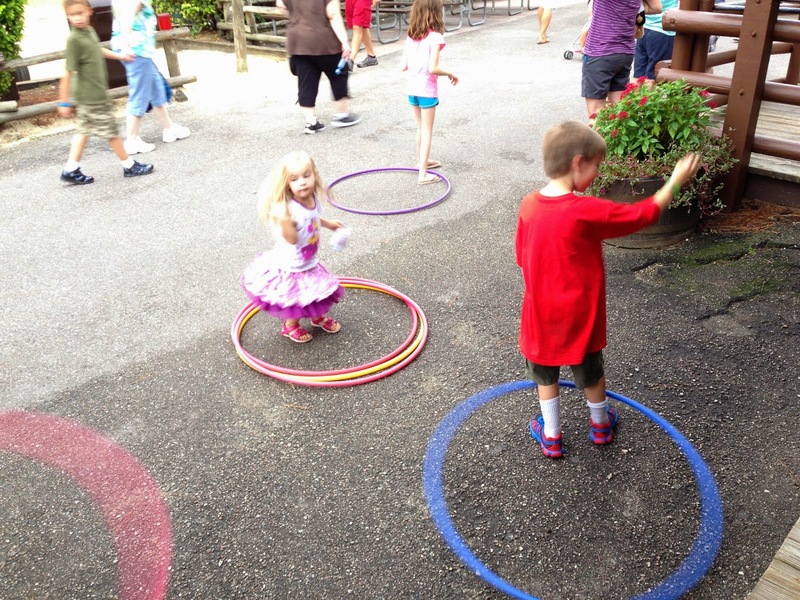 Hula Hoops and other games can be found in Fort Wilderness near Trails End Restaurant. 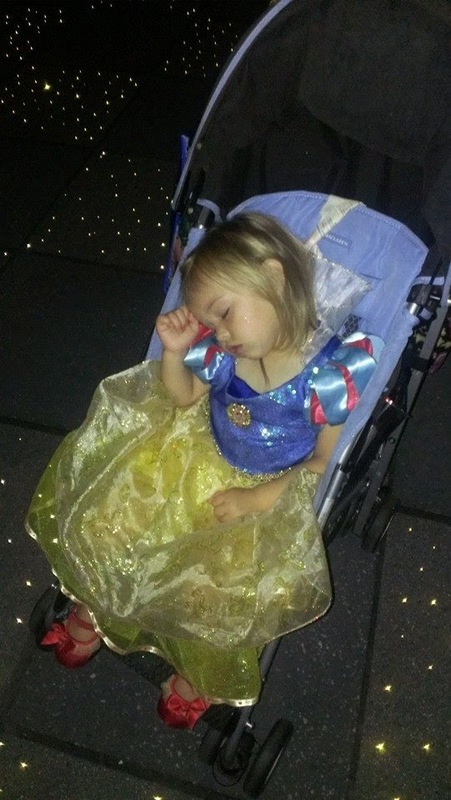 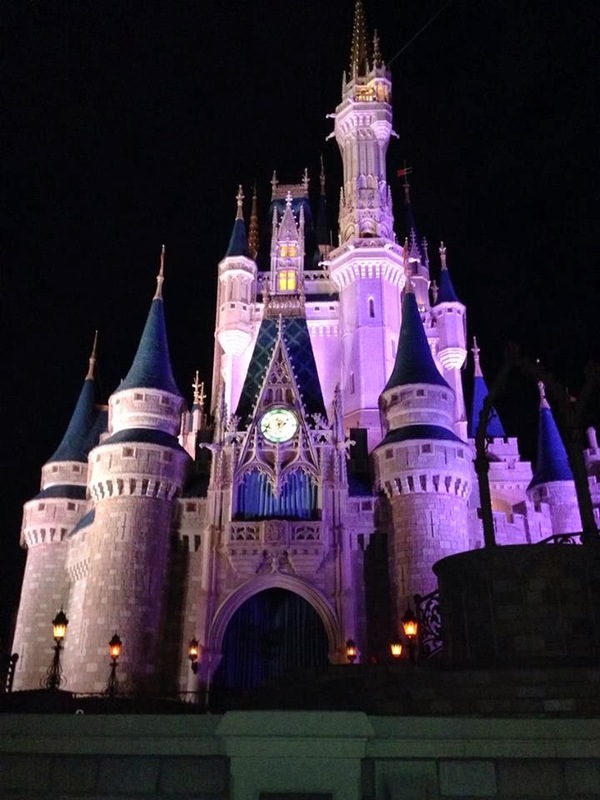 Every girl is a princess at Disney. 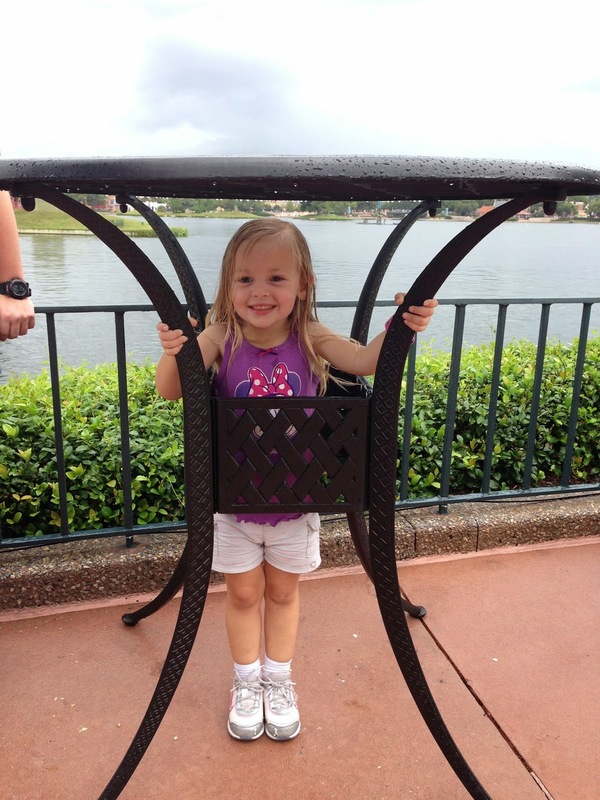 Get your own tiara in the Germany Pavilion in Epcots. 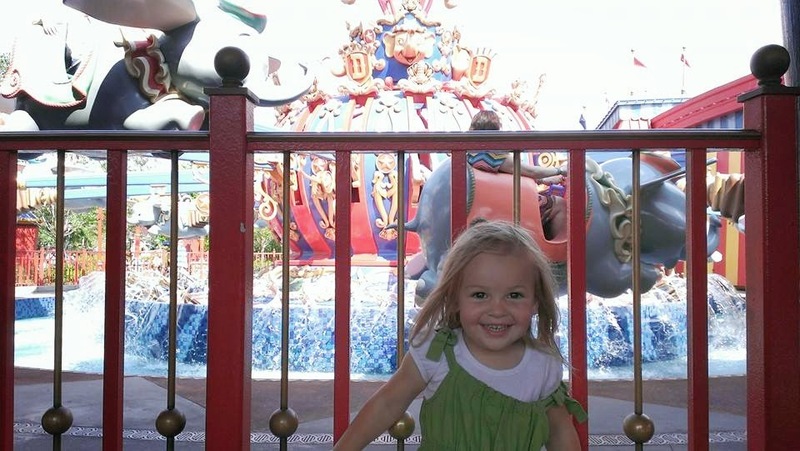 Never too old to ride Dumbo with Mom. 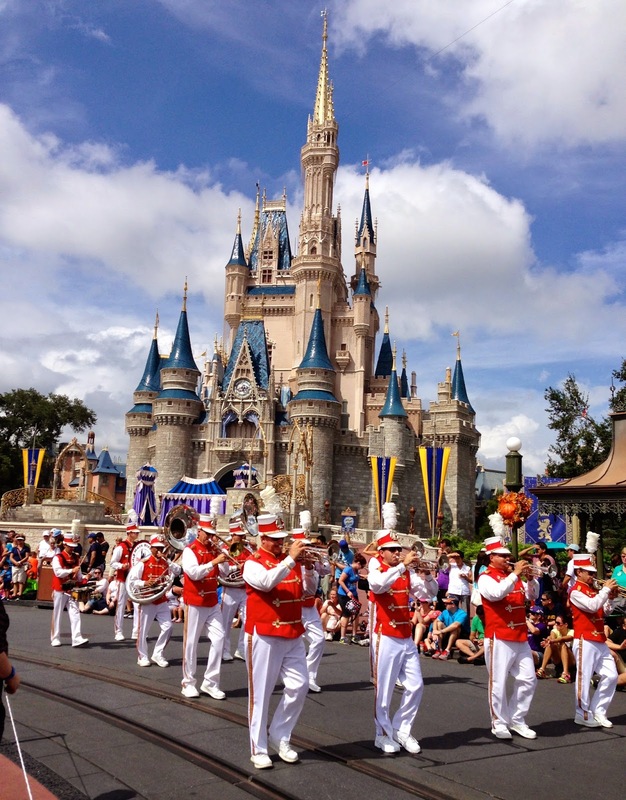 Welcoming the Festival of Fantasy Parade. 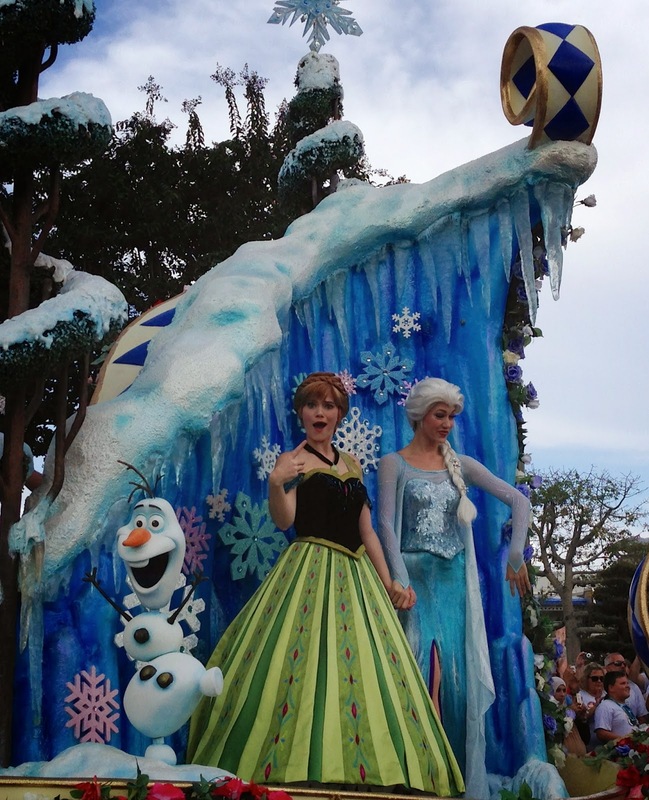 Anna and Elsa pose with Olaf on a parade float. 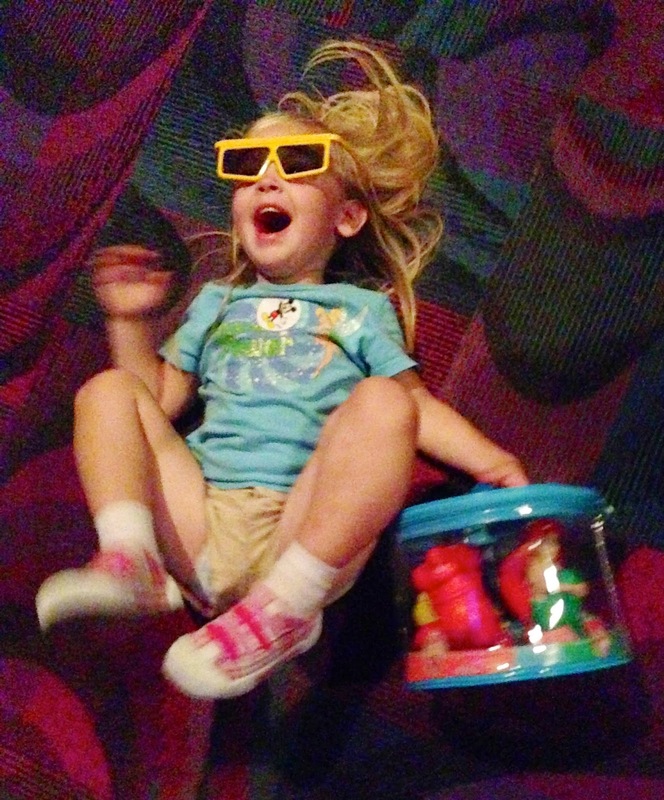 Think being her bubbly self. 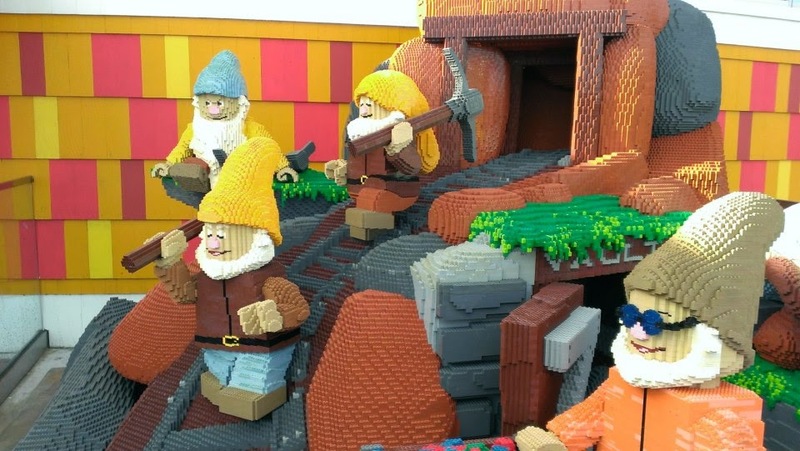 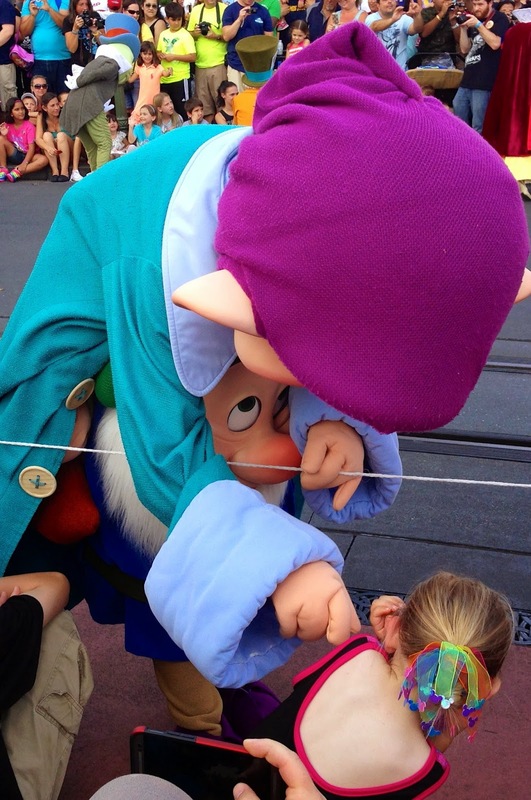 The dwarfs like to play around. 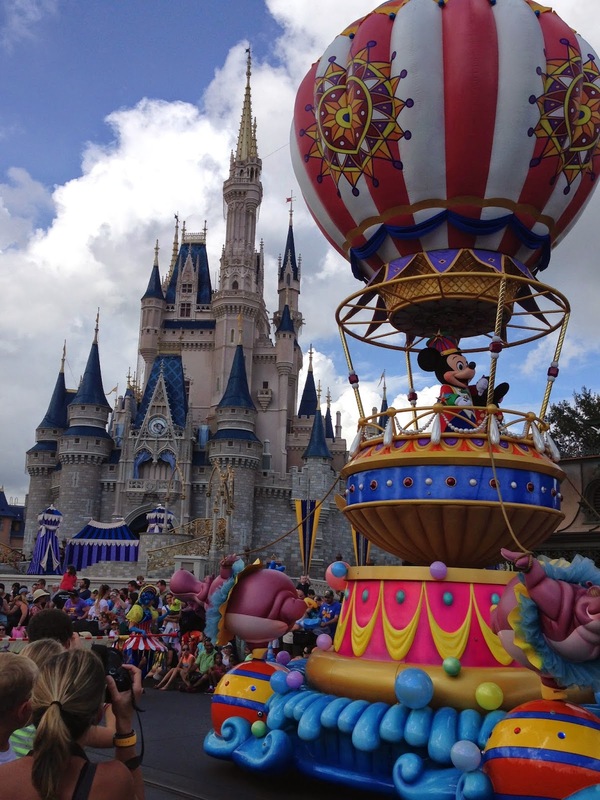 Mickey and his whimsical hot air balloon. 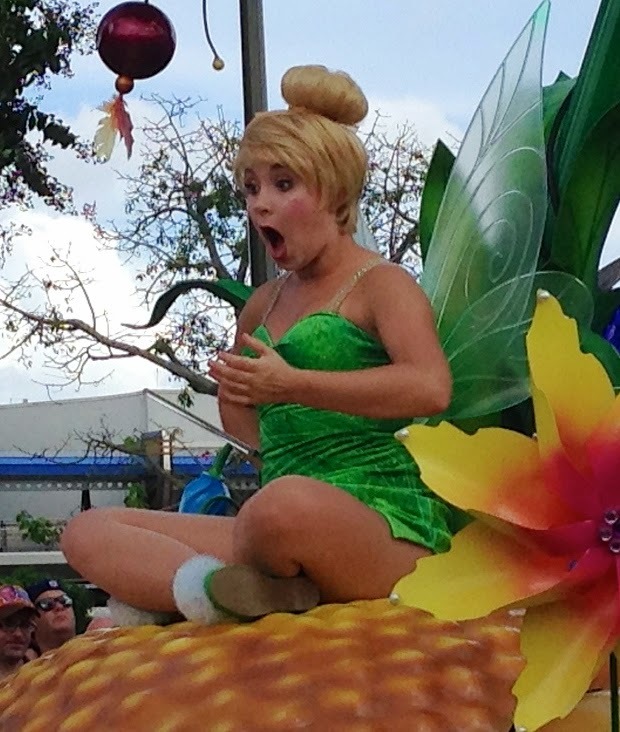 Wheeeeee!!!!!! 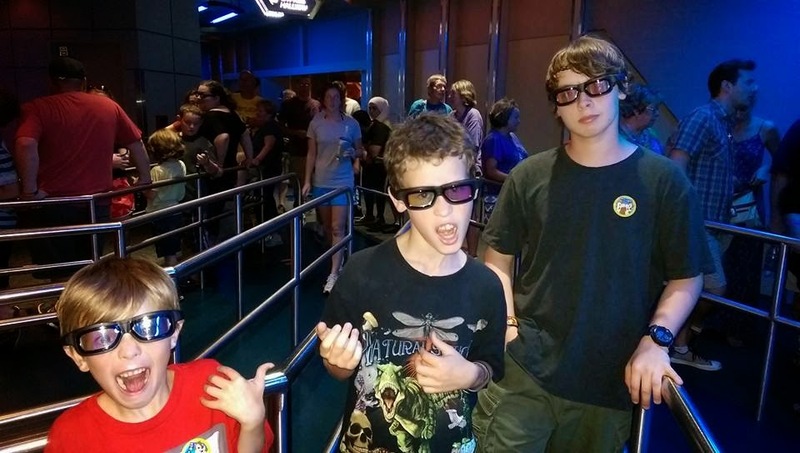 Hands in the air like the big kids. 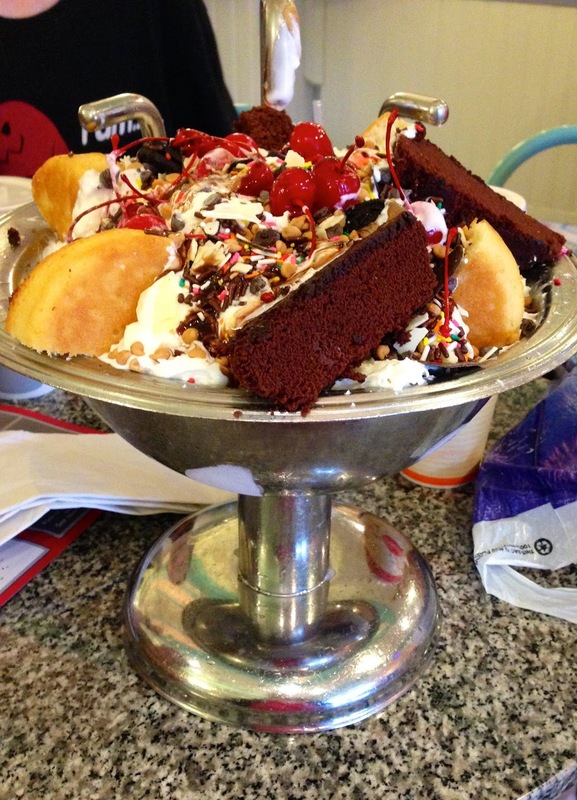 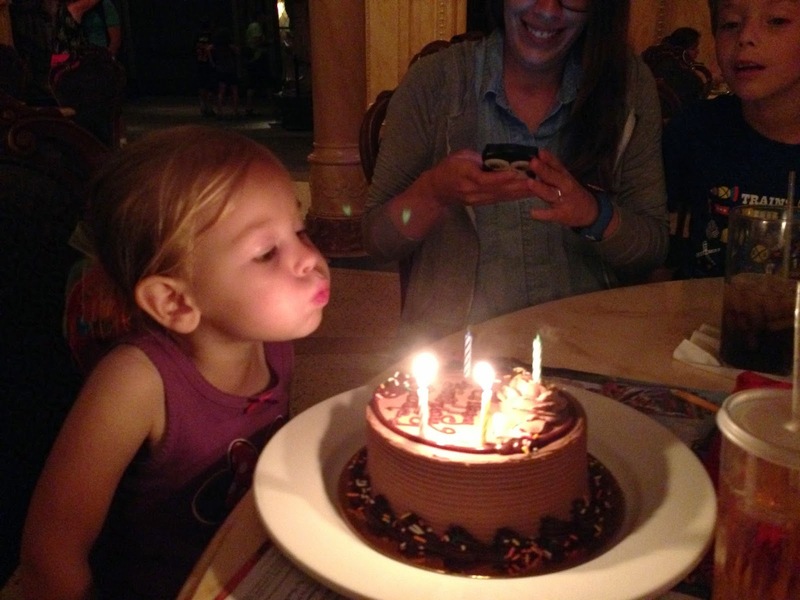 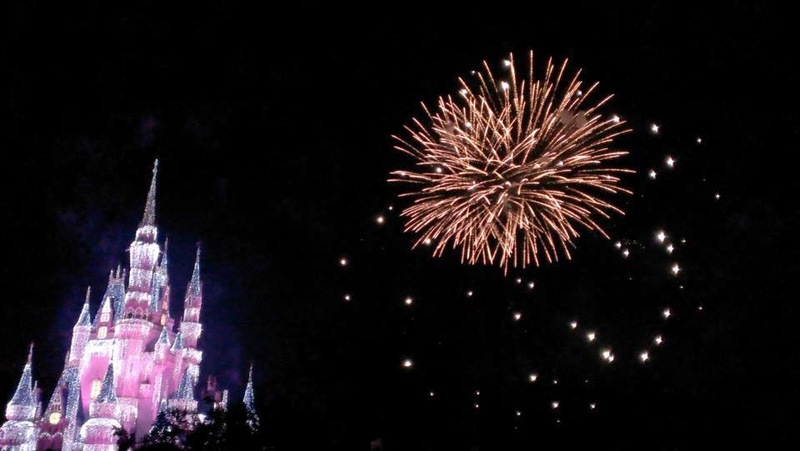 Birthdays are extra special at Disney. 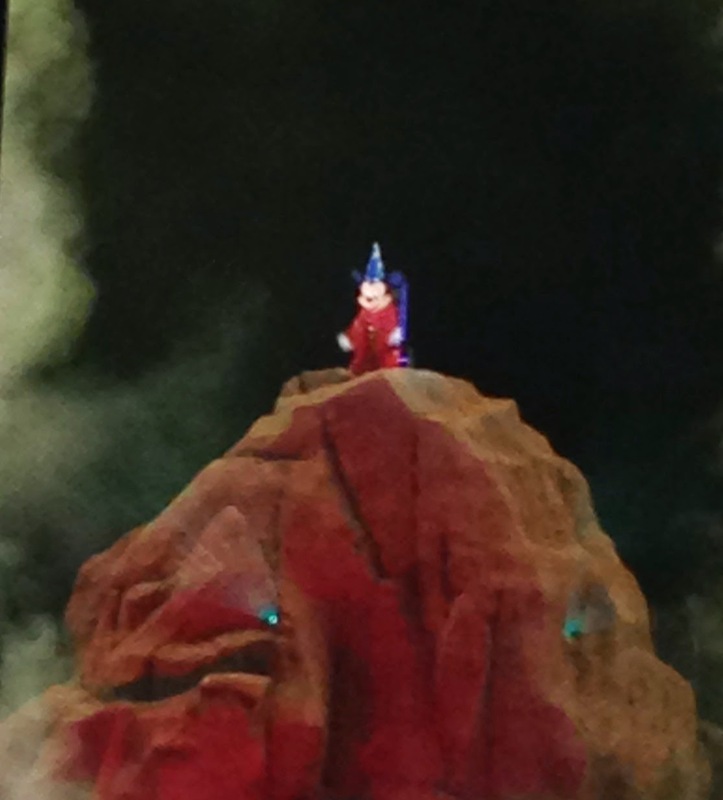 Hey look, a hidden Mickey is the smoke. 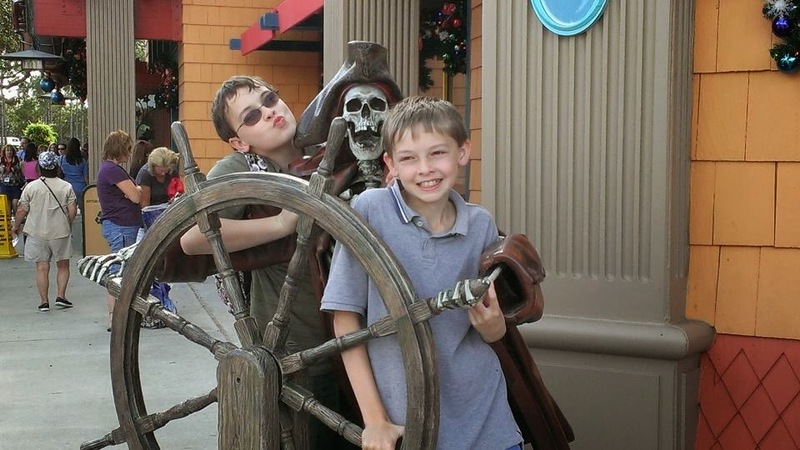 I spy a Pumpkin King. 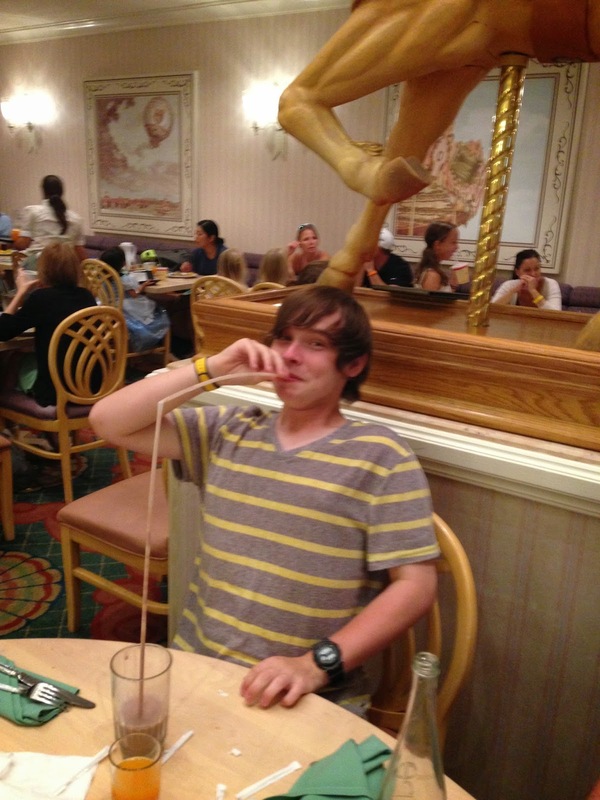 Because a regular size straw just wouldn't do. 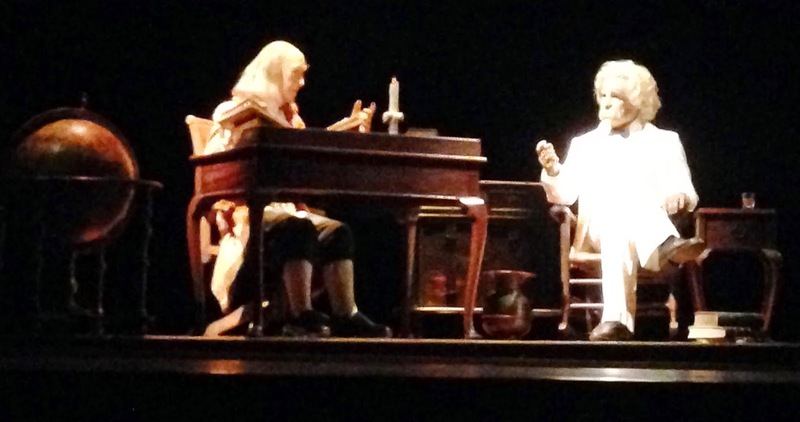 Ben Franklin and Mark Twain tell the story of America in the American Pavillion in Epcot. 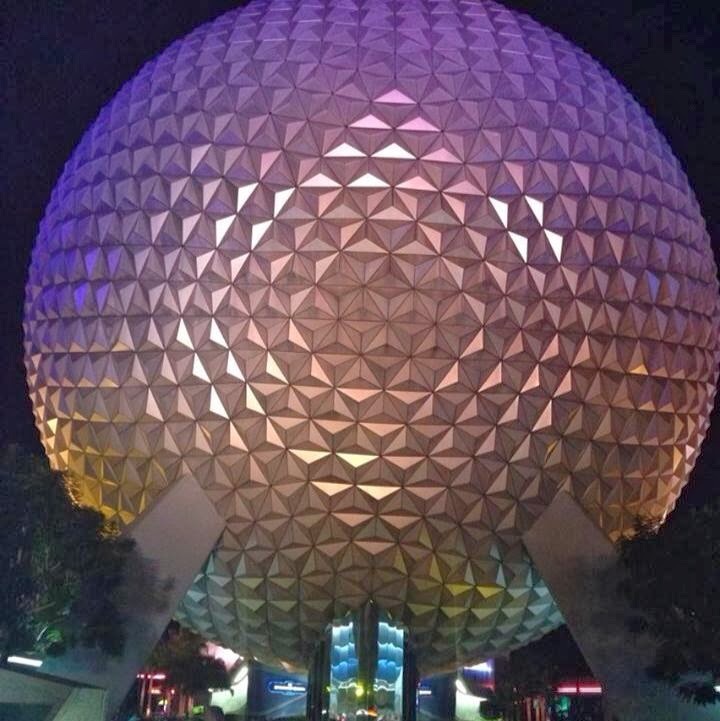 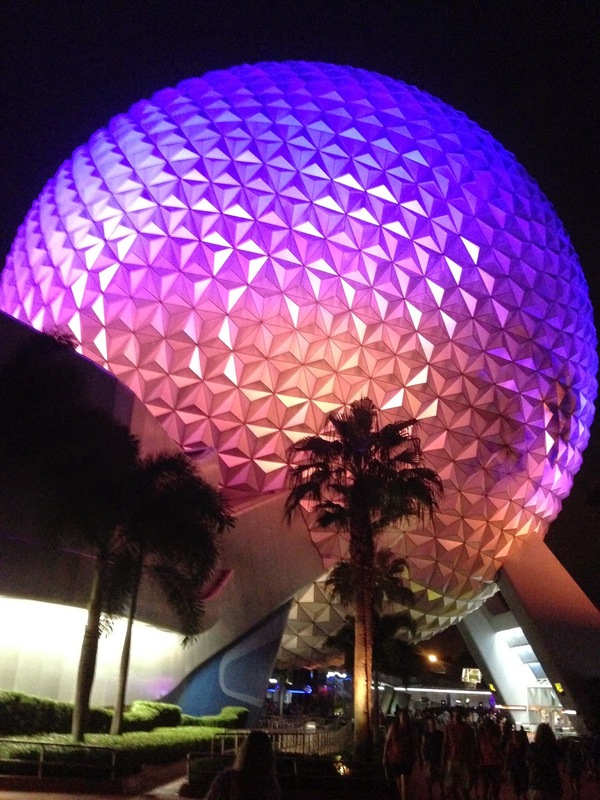 Spaceship Earth beautifully lit at night. 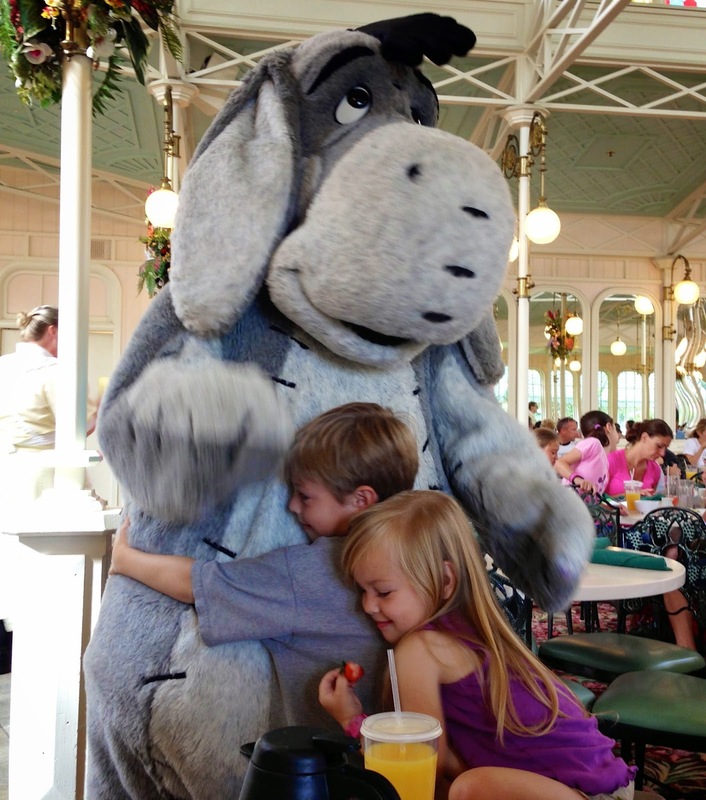 Lots of love for Eeyore. 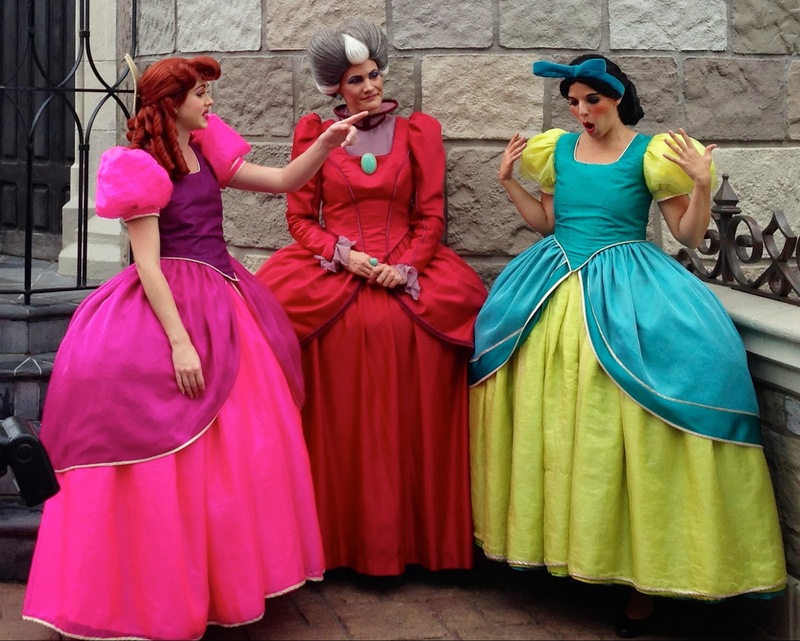 I found these 3 up to no good behind Cinderella's Castle. 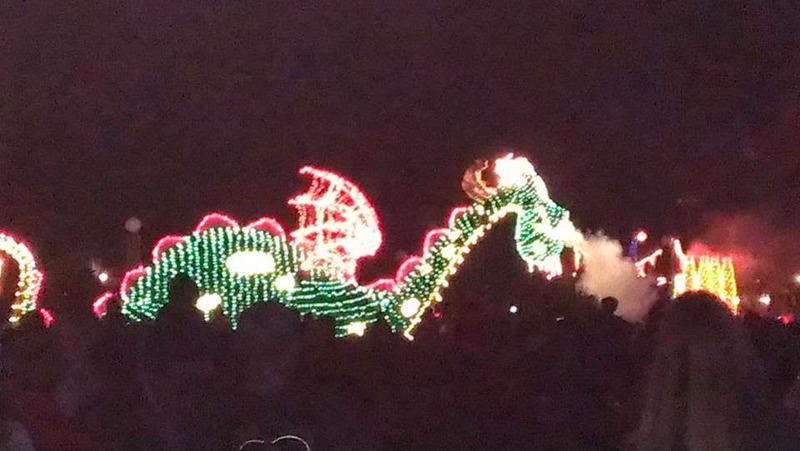 Fire breathing Steampunk Maleficent. 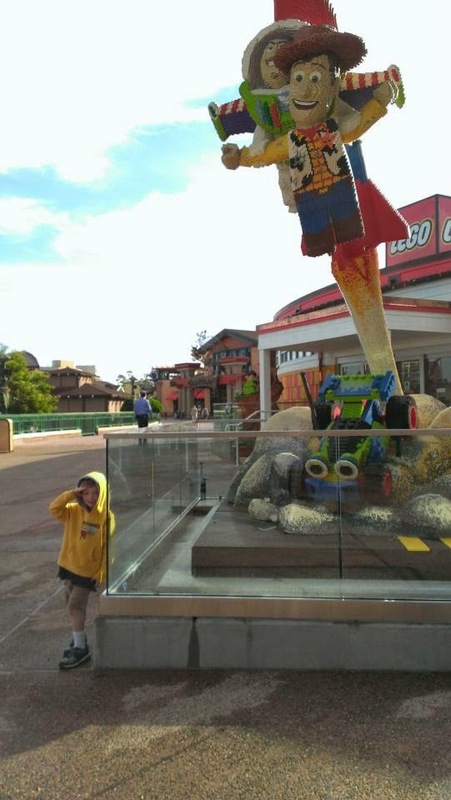 Do I really need to say more? 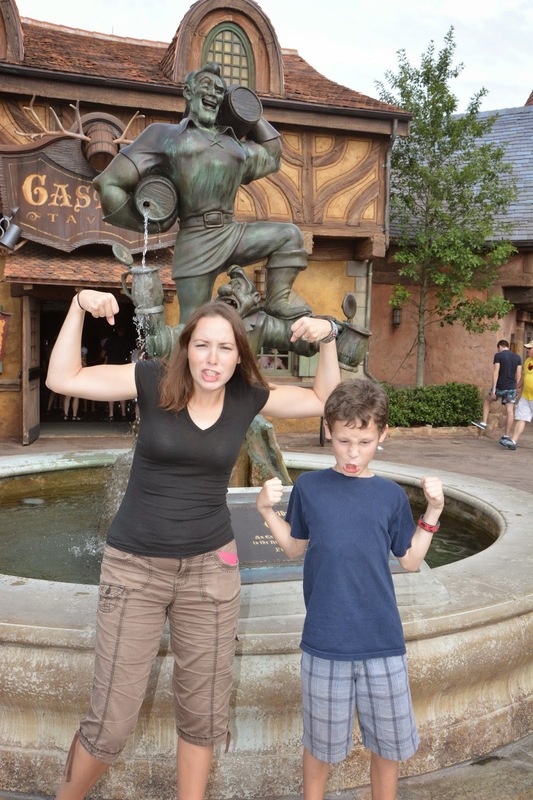 Biceps are a must with Gaston. 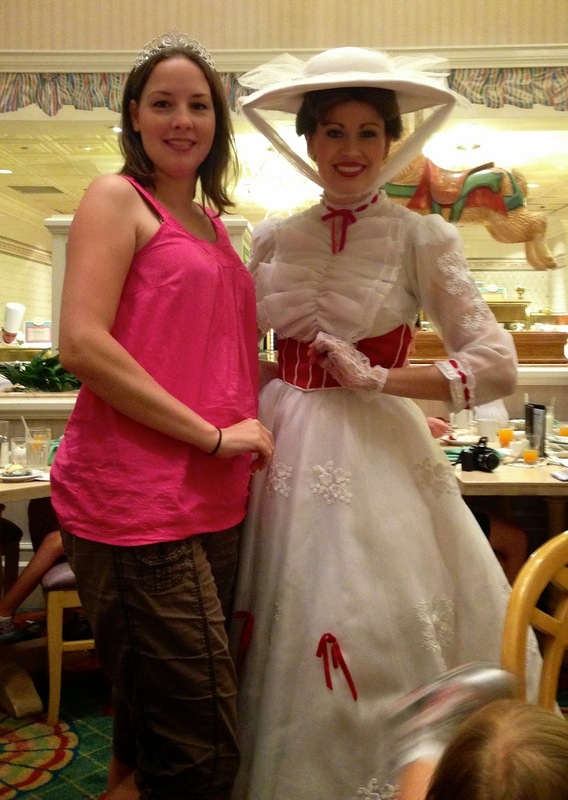 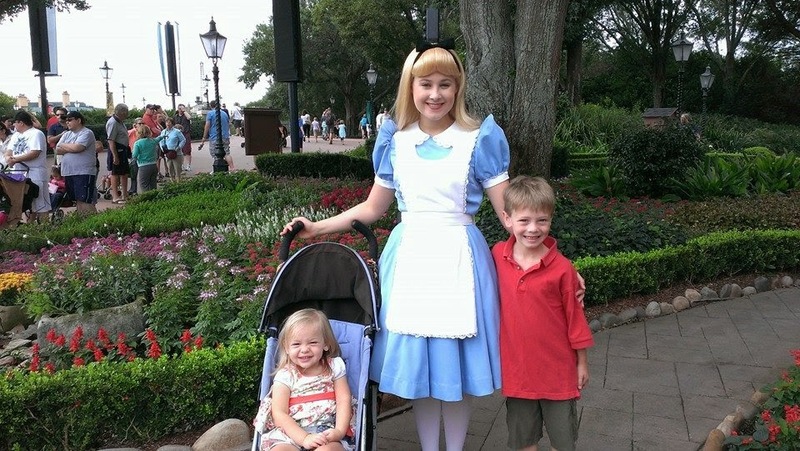 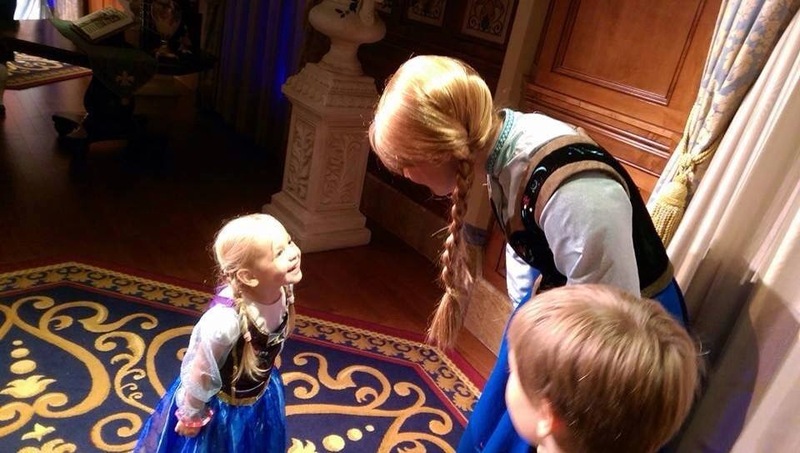 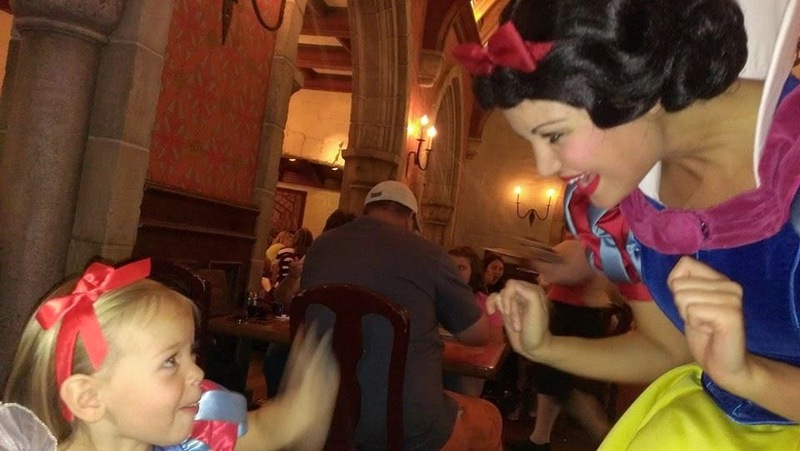 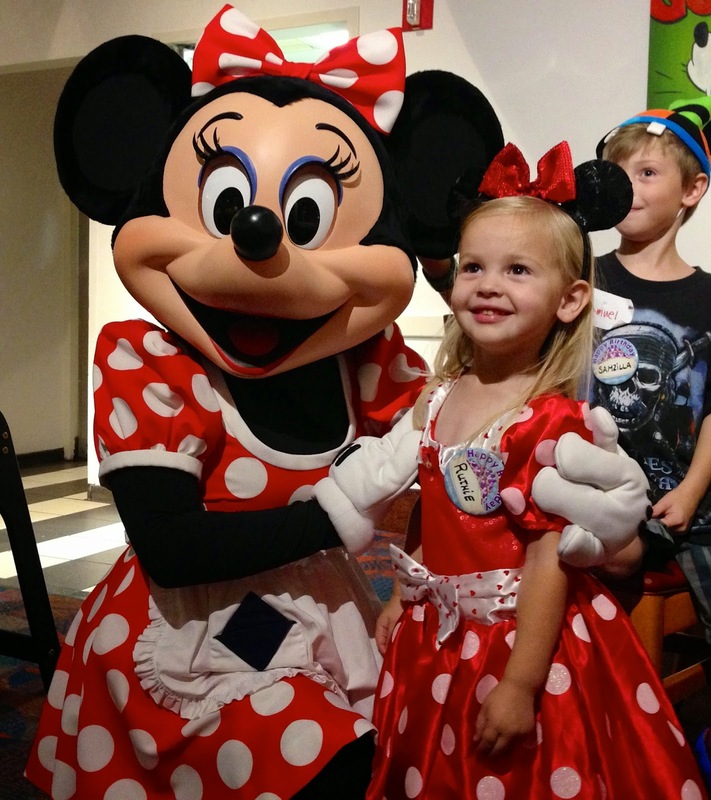 How often can a little girl meet her favorite princess? 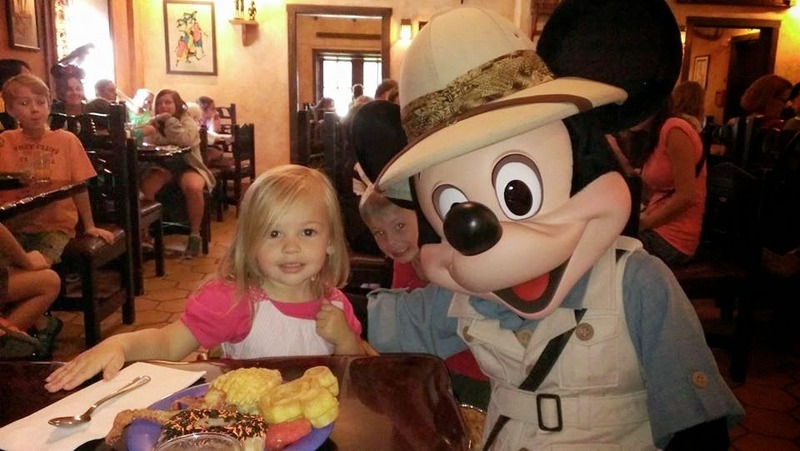 Meeting Mickey Mouse and enjoying a fantastic buffet at Tusker House in Animal Kingdom.. 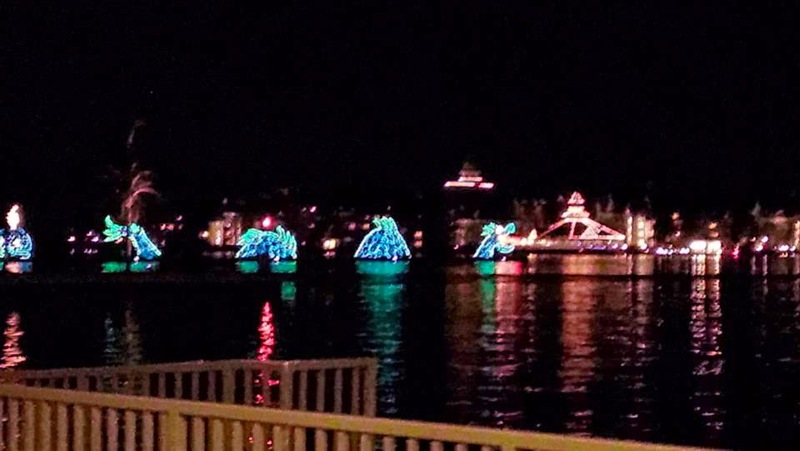 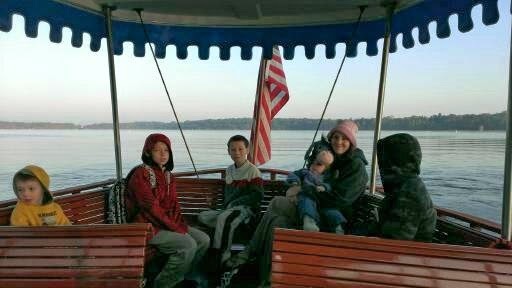 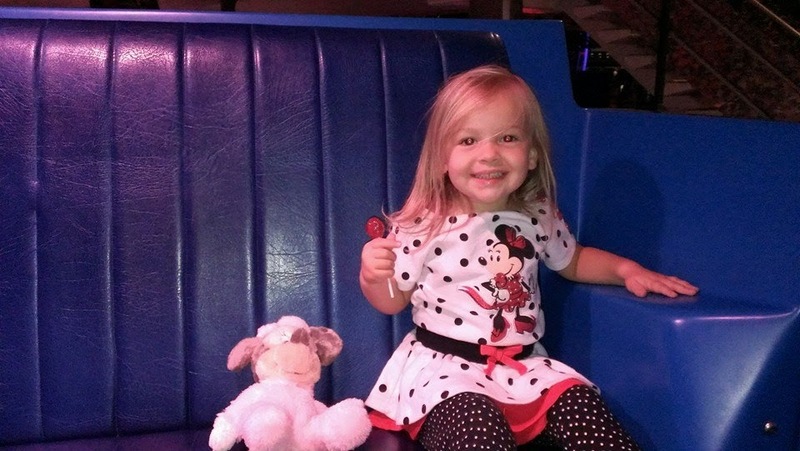 This was taken as we waited for the boat ride to our 1st visit to Magic Kingdom as a family. 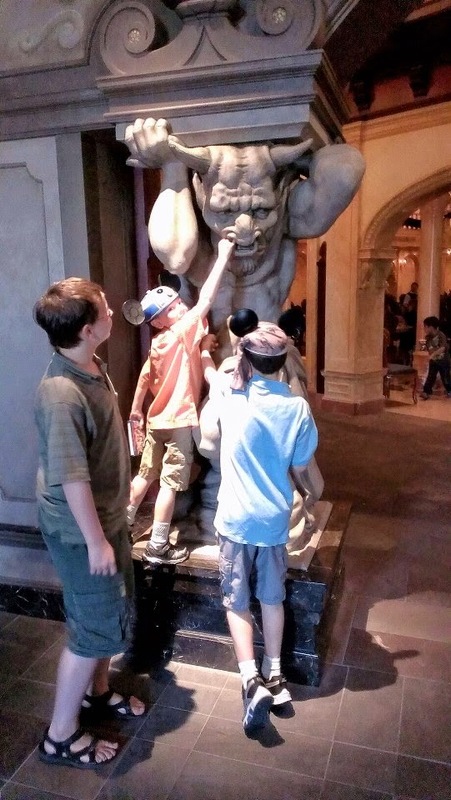 Apparently this gargoyle at Be Our Guest had a boogie. 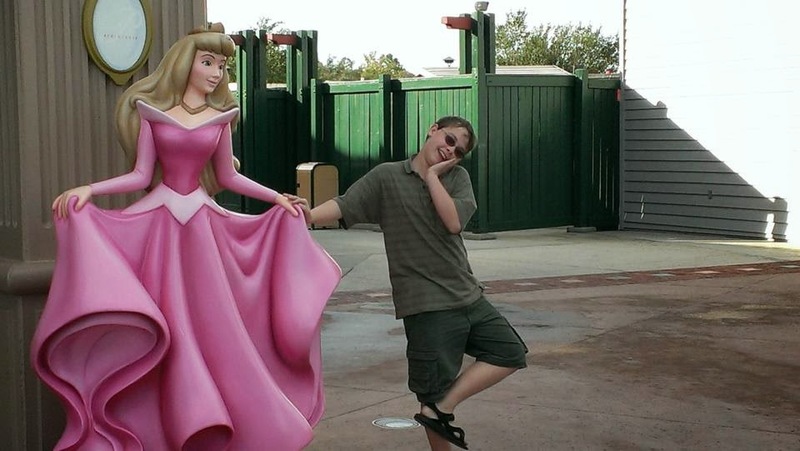 Teenage boys at Disney are always fun! 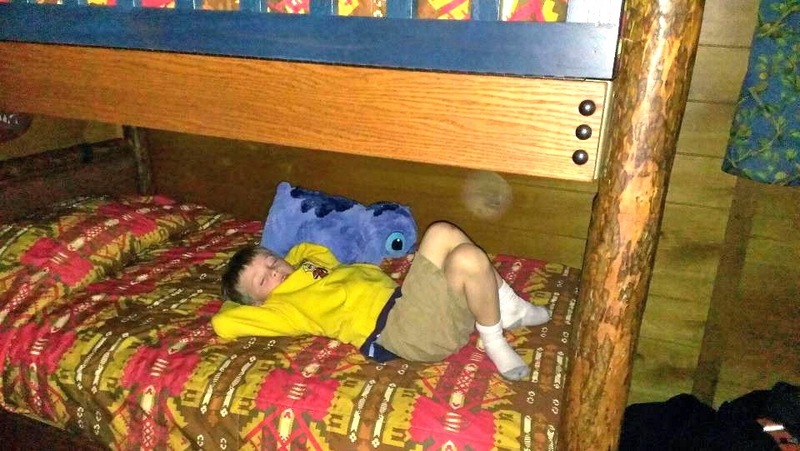 The end to a successful day in the parks. 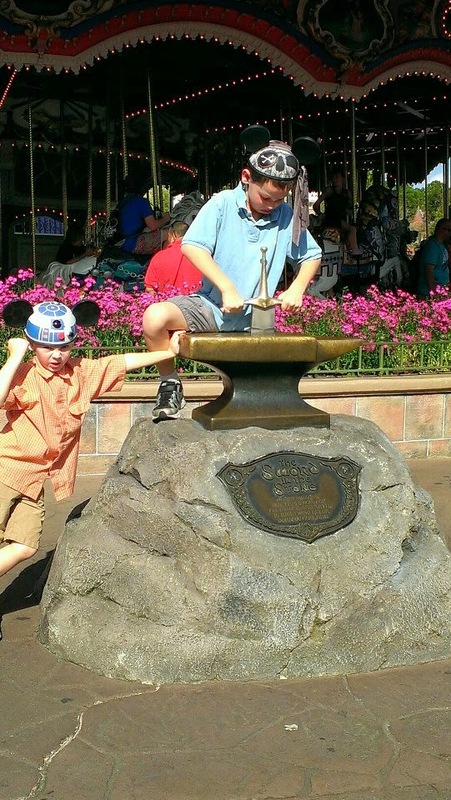 Using every ounce of their being trying to pull Excaliber from the stone! 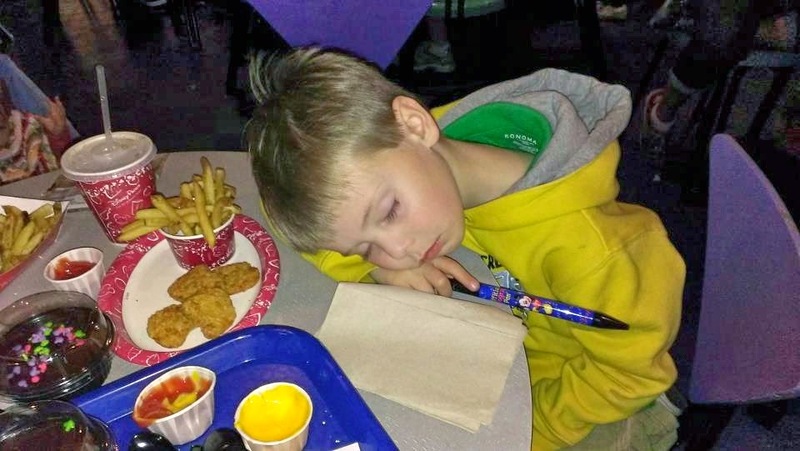 Getting autographs all day is tough work. 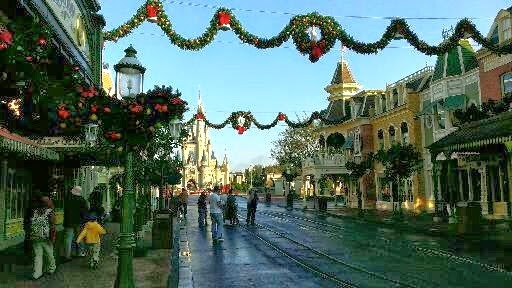 Main Street USA all decked out for the Holidays. 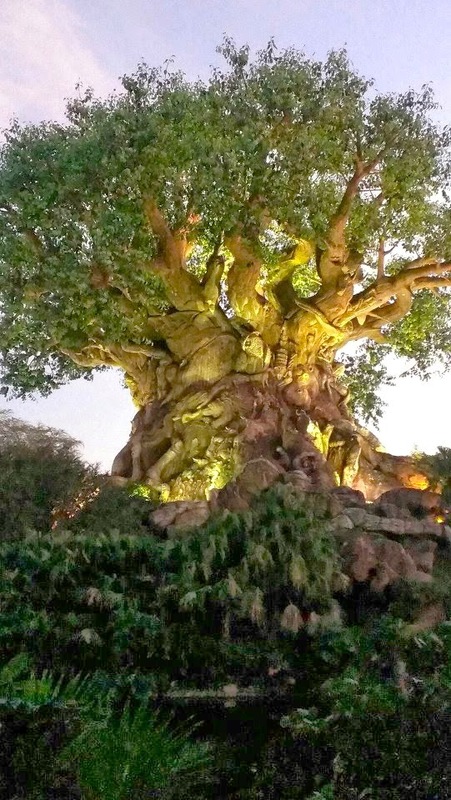 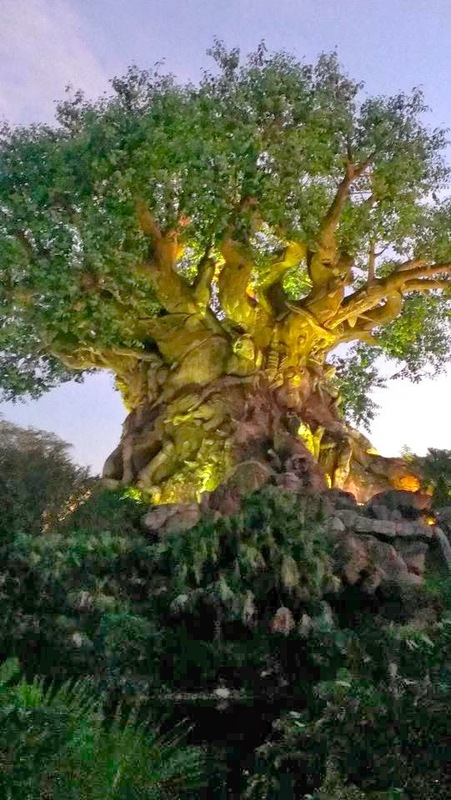 The Tree of Life in the evening. 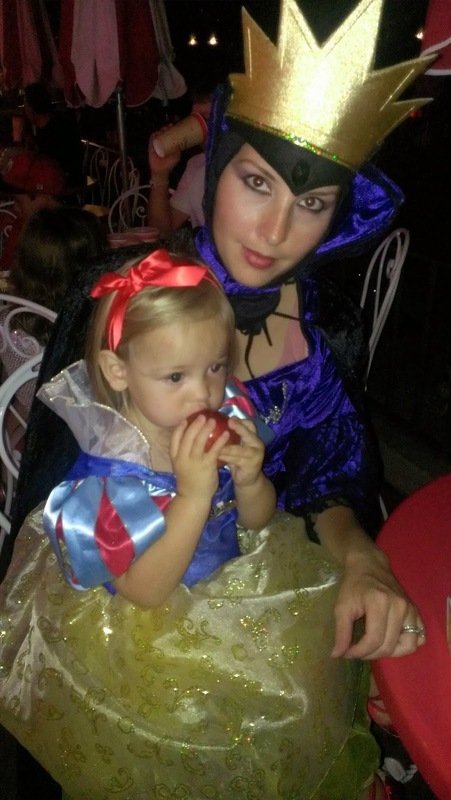 Dressed up as Snow White and The Evil Queen at Mickey's Not So Scary Halloween Party.